But when exporting/printing to a PDF file the PDF document in Acrobat Reader shows only a single page at a time. 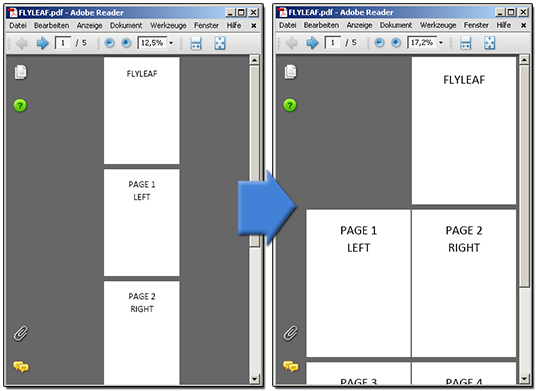 One may manually select the view option with two-paged layout and flyleaf but I wanted the document to be always shown that way! After Googling I found a solution using Adobe Acrobat Pro where it is possible to set this option and save the changes directly to the PDF file. Unfortunately Acrobat Pro isn’t cheap and I don’t own a copy so I looked for an alternative.